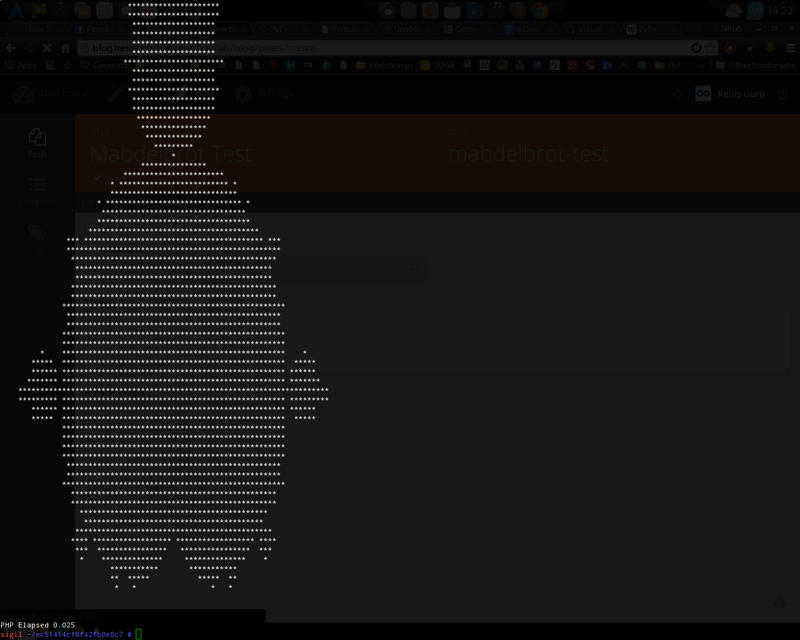 Lately we have found a very interesting test, which creates Madbelbrot set.Here is the source, and here is our fork with additional tests. Basically it creates a Madbelbrot set and provides time it took. Effects may be surprising. 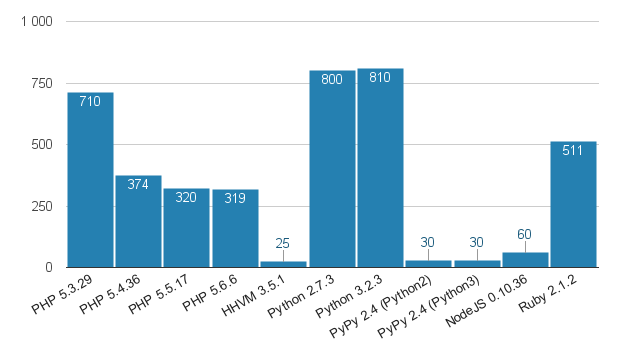 PHP7 with JIT was a winner in an original test (we didn't tested it yet), which is very intersting fact and we are thrilled about how Facebook's HHVM team may respond to that. This is a fact that we have mentioned before, but you can see the difference now very clearly. 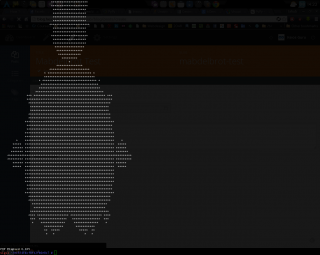 If you write python apps - try using PyPy. Python itself went quite bad in this test, but with PyPy it took just 0.03s to which is twice as fast as NodeJS and very close to gcc.